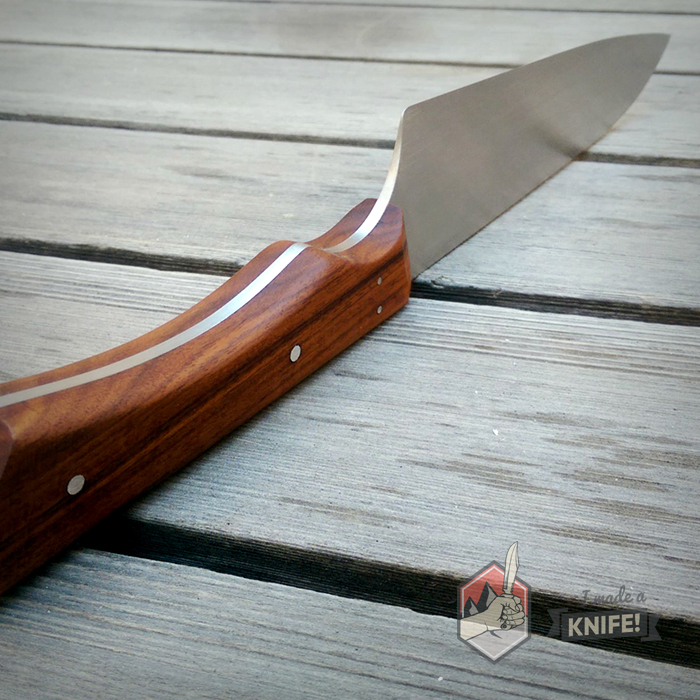 Mega FAQ - I Made A Knife! What is a “Scandi” knife or Scandinavian grind? A “Scandi” refers to the type of grind used to produce the blade’s edge. AKA the ‘Sabre Grind’, the Scandi is characterized by consisting of only one primary flat bevel. This is in contrast to many other grinds, like the 'Flat Grind' A 'Full Flat' Grind will have one large bevel from spine to edge, with a secondary bevel making up the finer edge. , which will have a large primary bevel acutely angled from the spine downward, then a small, steeper grind making up the finder edge of the blade. The Scandi grind is usually beveled ⅓ to ½ of the way from the edge to the spine. For these reasons, the Scandi grind is an easy grind to achieve and maintain— even for beginners—as all it requires is laying the knife flat onto the grinding stone. This flat grind makes Scandi knives very sturdy and great for heavy wood work. What is a Rat Tail tang? 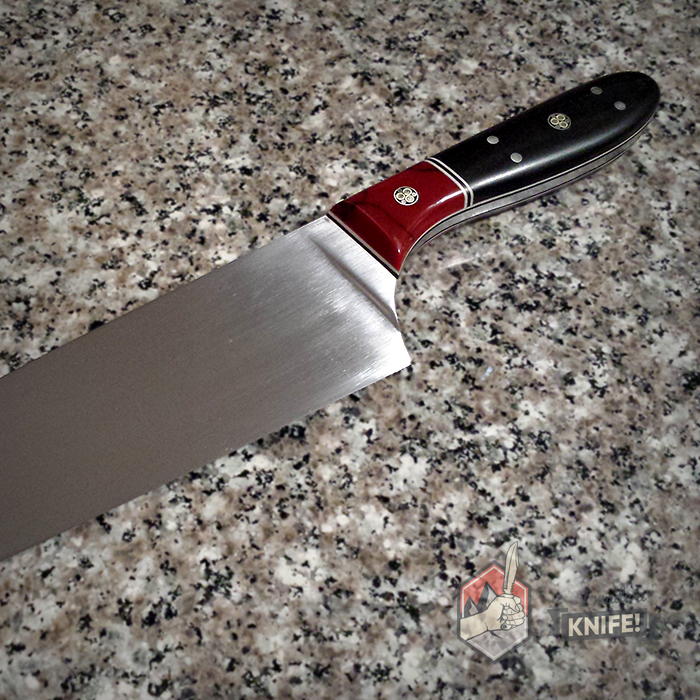 It’s a hidden tang that usually runs the full length of the handle but is considerably more narrow than a full tang. Seen as a whole, it’s deemed “rat-tail” because the blade of the knife resembles the body of a rat while the small and narrow tang resembles the tail of the rat. Designed more for decorative knives and swords, the rat-tail tang is not meant for hard use and as such is not recommended when making your own knife. What is a recurve edge? Instead of a knife’s cutting edge that goes straight from the handle and then curves up toward the tip, the recurve edge dips a bit before going up, creating a mild “S” shape. If you look at my logo up top, you’ll see an example of the recurve. You can find—or create—recurves on most types of grinds. It’s harder to sharpen because you must reorient your tools, but the recurve generally makes slicing and hacking easier. What can I use instead of a belt grinder? Belt grinders are a great tool for hobbyist knife makers but can be cost prohibitive. You don’t need a belt grinder to shape your blade, though it does speed up the process. Instead, a good set of files and sandpaper with a range of grits with get the same job done. Though if you do find some extra change in your couch, you can pick up a 1 x 30 (W x L) from a place like Harbor Freight or online. If you’re going to go the full way, grab yourself a high-quality 2 x 72. What’s the difference between Wootz and Damascus steel? Wootz is the name of the actual steel used in making Damascus blades. This high quality metal originated in India and has been in trade since the 6th century BC. It’s referred to as Damascus because that was the city (capital of Syria) that was known for selling swords made of the Wootz steel. When people refer to Damascus blades, they’re likely referring to pattern-welded blades in general. Side Note: As one of the oldest cities in the Middle East, Damascus has a fascinating history for any of those interested. Is Damascus steel stronger than normal (carbon/stainless) steel? Forging a true Damascus blade is a lost art; we just don’t have the knowledge anymore. The way it’s produced today is meant to simply mimic the look of the pattern welded steel. Secondly, the impetus behind the Damascus blades was to make a better blade by folding two or more metals over itself many times to dissipate the metal’s impurities across the whole of the blade, thus reducing weak spots. Then, the blade is acid etched to reveal a beautiful pattern of waving metals. However, today’s basic tool steel is much more pure than anything they were working with centuries ago. What is G10 made out of? G10 is made out of fibreglass soaked in epoxy and then compressed under heat. It differs from Micarta, which uses a cloth material as its base. G10 makes great knife handles because it’s lightweight, very strong, and does not absorb water. Due to the fact that it’s made up of simple fibreglass sheets and epoxy, it can come in a variety of forms, thicknesses, and colors. One of the advantages it holds to wood handles is that it does not expand or contract based on moisture content. 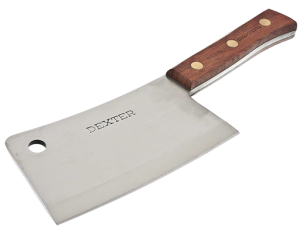 Many commercial kitchen knives are made with manufactured handles instead of wood due to regulations about food stuffs and bacteria residing in the wooden handles. Micarta, like G10, is a fabricated handle material. 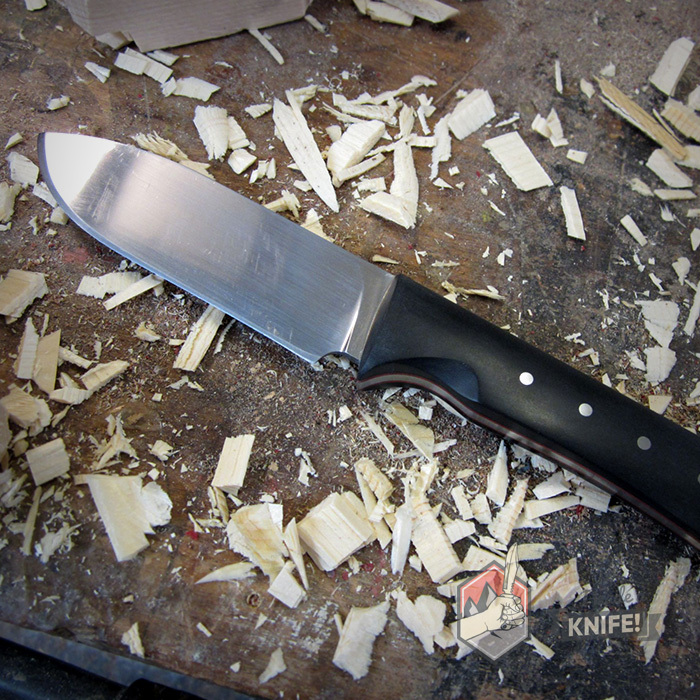 Micarta is made of cloth/fabric soaked in epoxy or resin, then compressed under heat. Micarta handles will generally be a little more “grippier” than G10 due to the base material used. Can I used old steel or a saw blade? Layout fluids are quick-drying fluids used for scribing, marking, pattern placement, or color coding on sheet metal. DYKEM is a great workshop brand. It’s not essential for knife making, but will help trace clear lines and will ensure that you’re getting a consistent grind as you work away the dye. What is a sharpening choil? Not to be confused with a finger choil which is an area of unsharpened metal that will prevent your finger from getting cut if your folding knife accidentally closes. The sharpening choil is a small notch that’s ground into the edge of the knife where the unsharpened and sharpened metal meet. It’s usually drilled into the knife blank before hardening, but can also be ground in with a chainsaw or round file. With heavy use and continual sharpenings, a knife’s plunge line and bevel might begin to look a little off. The sharpening choil removes the bit of metal where this would start to happen and provides for a definite sharpening line. One of the disadvantages to having a sharpening choil or notch is that it can sometimes snag on the material (like rope) that you’re cutting. Do you need a sharpening choil? No, but it could be a good idea on knives meant for long term use. What is a hanging hole? The hanging hole is a hole found in near the cutting edge and front-most part of the blade on meat cleavers. It’s used to hang the blade on a meat hook or butcher’s belt. Having the hole on the blade as opposed to the handle allows for an easier and safer grip when reaching for the knife and reduces the risk of the blade edge bumping into the wall and dulling. What is a hollow grind? 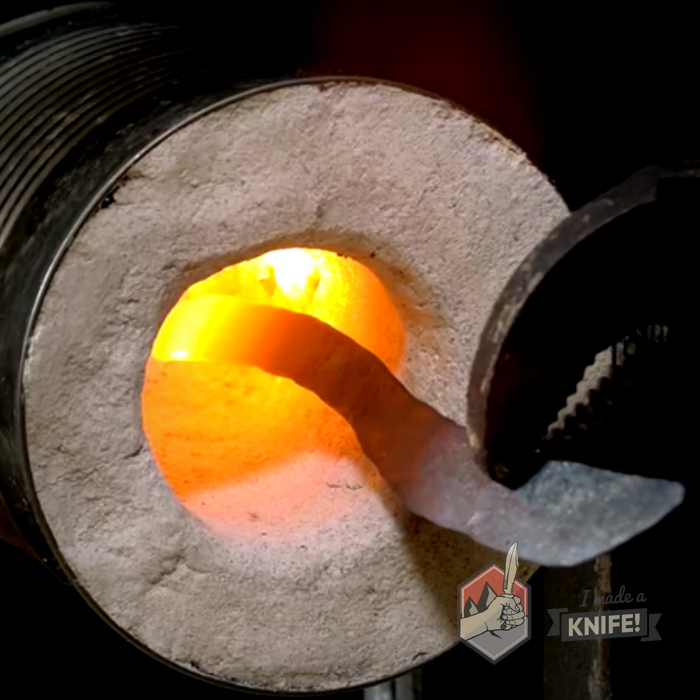 A hollow grind is a way to grind your blade so that the bevels curve inward (concave) to meet at a point. This makes for an extremely sharp knife, but very fragile edge at the same time. It’s a difficult grind to achieve, even with the right tools and as such, you won’t come across a hollow grind too often in custom knives. That said, hunters sometimes prefer hollow grinds for skinning and dressing animals. Please refer to my article on the 8 Most Common Knife Grinds for more. 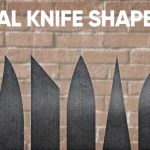 What is the bevel of a knife? The bevel or grind of a knife refers to the profile of the blade and how its ground to produce its cutting edge. Most blades will have a primary bevel and a smaller secondary bevel at the cutting edge. The bevel can go right from the edge to the spine, or a portion of the way up. It can be ground flat, or curved in a convex or concave fashion. Please refer to the 8 Most Common Knife Grinds article for more. The swedge is a faux second edge opposite the cutting edge, extending from the tip 1/3 to 1/2 the way toward the handle. It is mostly used decoratively, as the swedge is rarely sharpened. What is the bolster in a knife? From the dictionary: a part of a tool providing structural support. To support or strengthen; prop up. The bolster, commonly found in high quality kitchen cutlery, is the thick piece of metal that extends from the handle into the blade about a 1/2”. It provides some protection for your fingers as well as balances the weight of the knife. They are more common on high quality commercial knives as it shows the knife is originally made from one thick piece of steel as opposed to being stamped out. The bolster is not to be confused with the knife guard, which extends outward from the knife and handle instead of flowing between them. The Ricasso is the thick, unsharpened section of the blade, closest to the handle. Leaving it there can make sharpening easier as you don’t have to fiddle around and precision sharpen as you get right up to the handle. In some cases, a person may grip that area, and the Ricasso allows for a safe area to grip in that case. Please my my illustration of the Anatomy of a Knife for a visual. What is the plunge line? The plunge line is the line where the grind begins and is usually accompanied by a sharpening choil, though not always. The plunge line can be transitioned into the blade in a gentle, curved fashion, or it can be ground flat, thus creating a straight or 90° transition. 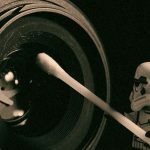 What is a sweeping plunge? A sweeping plunge is a style of grind that curves gently from the knife’s edge (nearest the handle) toward the tip of the blade. It’s often the mark of an experienced knife maker as a clean, curved plunge line is difficult to achieve evenly on both sides of the knife. Sweeping, or curved, plunges will be inherently stronger than straight vertical plunges and will reduce the risk of a break. If you’ve got a belt grinder and want to learn how to do sweeping plunges, this guide describes the whole process. A hamon is a Japanese term originating from traditional sword-making, literally meaning: blade pattern. It is a visual effect (with practical application) created manually during the heat treating process which involves hardening the blade at different rates. This process is called “differential hardening”. By covering parts of the spine with clay, it takes longer to harden and remains softer than the cutting edge of the blade—great for heavy-use knives that need a durable back yet a hard edge with good retention. Can I heat treat with just a torch? Do I need a forge? You can, but it’s not ideal. It might yield acceptable—again, not ideal—results if you’ve got a simple steel like 1080 or 1084. The issue is two-fold: 1) trying to heat the blade evenly, and 2) letting the blade soak in that temperature for a duration of time. Instead, you can create a cheap 2-brick forge, Soup Can forge, or even heat up a pit of coals. These techniques won’t cost much, but will give you a much better and harder knife in the end. Alternatively, and perhaps easiest, would be to take your knife in to a shop to get professionally heat treated. 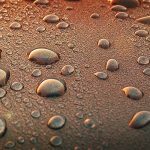 What’s the difference between MAPP gas and propane or butane? MAPP (AKA MAP-Pro) gas burns at a higher temperature than butane and propane. Your choice between the three depends on what you’re using the torch for. Butane is clean burning and great for small jobs like soldering electronics. Propane is the next step up and can be used for tasks like loosening rusted bolts. MAP-Pro is used for the more robust jobs like soldering copper pipes and heat treating knives. How long do I temper my knife for? It depends! What kind of steel do you have? Your best option is to look for any instructions that came with the steel, and failing that, to simply Google, “steel type heat tempering (temperature/time)”. As a rule of thumb, most tempering will be around 450°F for about 2 hours. Because you’re trying to achieve a certain Rockwell hardness, you could always get an instrument to test that as you go. What are mosaic pins? How do I get them? Mosaic pins are custom-made pins for your knife handle. They’re generally made up of an assortment of metal tubing and wires arranged creatively and filled with resin or dyed epoxy. You can make your own (as demonstrated here) or take your choice of 1000s of custom pins available online. Make sure you’re ordering the right sized pin for your hole! What are liners? Do I need them? Liners are thin pieces of material—usually G10—that go in between the tang and the wood of your knife. They don’t add too much functionality to the handle, but they look great and can really make a handle pop depending on the colour you choose and the wood it’s paired with. What is a patina? How do you “force a patina”? A patina is a thin layer of oxidized steel that develops over the blade with age and use. Though a mild form of rust, it actually helps prevent against deeper corrosion. Patinas occur due to a mix of chemical compounds interacting with the steel—acids in particular will speed up this process. To “force a patina” is to manually induce this process in a short period of time. Many knife makers force a patina with vinegar in order to add a thin protective (and aesthetically pleasing) layer to their knives. I’ve written more on what a patina is and how to force a patina yourself in this article. How do you strop a knife? To strop your knife, get some soft but slightly abrasive material to rub your polishing compound on. Leather belts, denim, and cardboard all work well. Get your compound—like green chrome oxide compound—rubbed in evenly. It doesn’t need to be a thick layer, just enough to feel waxy. 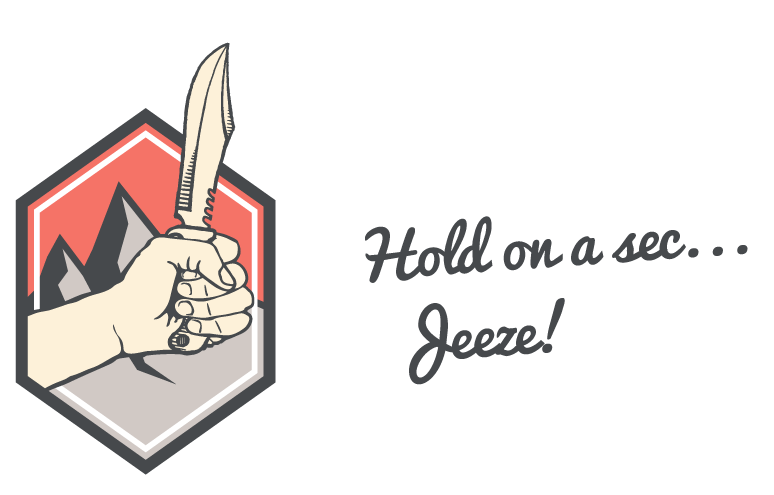 Using pulling strokes toward you, lightly glide your knife along the strop. At the end of each stroke, lift the blade edge off the strop, don’t roll the edge inward—this defeats the purpose of stropping. A dozen dragging strokes on each side will finely polish your edge, but feel free to do more or less. How do you stonewash a knife? Stonewashing will give your knife a rugged or distressed look. It’s often used as a mask to hide smaller nicks and scratches. Many knife makers simply enjoy its unique look. It goes without saying that this process should be done before you put the final edge on your blade. If it’s too late for that, your knife is going to need a serious resharpening after this process. Collect some smooth river rocks and put them in a plastic container with your knife. You’ll want to leave enough room for the rocks to be able to knock around inside the jar. Alternatively, you can use ceramic media instead of rocks. Add in a little bit of vinegar or ferric chloride so that its acid will etch in and increase the effect of the stonewashing. (See article on Forcing a Patina for more on acid etching). Wrap the jar up with a towel and secure with string or elastics. Put the jar in a cement mixer or dryer and tumble the jar around for 10-20 minutes. That’s it! Thoroughly clean and rinse off your knife and then resharpen if need be. A balisong knife is the Filipino term used to describe a folding pocket knife, better known as a “butterfly knife”. The knife is equipped with two handles that rotate in such a way as to conceal the blade or flip it out rapidly. The balisong saw much use by the Filipino people as a self defence weapon and a utility tool. 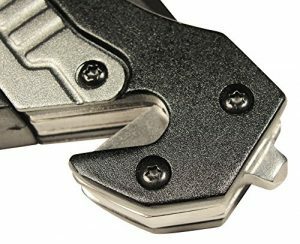 In modern days, the balisong or butterfly knife is outlawed in many countries and is made illegal for the same reason switchblades were. What is a window breaker (AKA glass breaker)? It’s a thick tip of steel—usually pointed—on the back of your handle that’s meant to break glass or a window in an emergency. The hardened steel spike will be much more effective striking, rather than stabbing the glass with the knife tip. Also, they just look slick. Window breakers can be hand crafted if you so choose. Also seen in the picture is a seatbelt cutter (generally considered redundant). Source.